Home » Is There a Place for Salt? Notes from BBC Food Programme. Is There a Place for Salt? Salt has long been prized, but in recent years it has become, for many, something to be avoided: to reduce or even eliminate. At the same time, there are new salt making businesses popping up all over the UK, celebrating salts with – they claim – unique characteristics due to their location and methods of production; they are salts of a place. In this edition of The Food Programme Sheila Dillon asks if there is a place for salt – in our kitchens and on our plates. The programme Features chef and writer of ‘Salt, Fat, Acid, Heat’ Samin Nosrat, lexicographer and etymologist (and Dictionary Corner resident) Susie Dent, Senior Health Correspondent for online news site vox.com Julia Belluz, salt makers Alison and David Lea-Wilson, and the chef and author of ‘Salt is Essential’: Shaun Hill. I saw that this programme was dedicated to Salt so I thought I’d make some notes as I listened to this programme. I’ve always been fascinated by the basic ingredients of cookery which mean’s thinking about the type of salt and the type of spice that you are using in your food and where they come from. I’m also very interested in how to maintain electrolyte balance in the body. Electrolytes are salts and minerals, such as sodium, potassium, chloride and bicarbonate, which are found in the blood. They can conduct electrical impulses in the body. A new crop of salt producers has been springing up in every corner of Great Britain, producing salts a special taste linked to the place they are produced. Sheila Dillion starts the programme at The Walnut Tree which sits two miles east of Abergavenny. 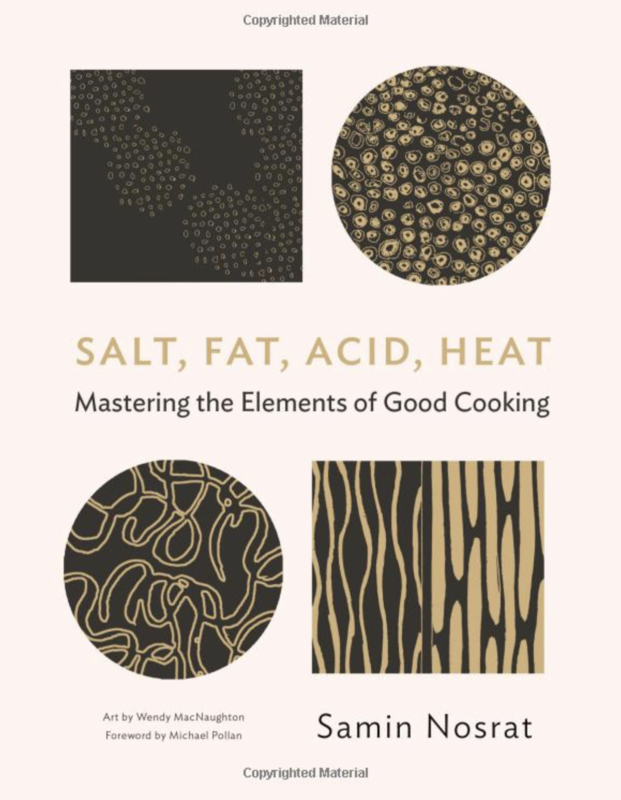 It’s run by chef Shaun Hill who has written the book Salt is Essential, Sheila has been cooking from this book for the last couple of weeks. 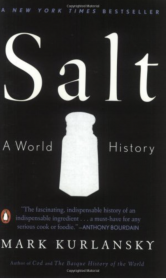 Shaun says the title is a bit ironic as salt has been demonised so much in recent years. If you don’t have enough salt in food it’s bland, and bland is bad. Mark Kurlansky author of Salt a World History, says there was a huge variation in salts in the past. The produces had great difficulties in removing all the impurities. If you look at old recipes they would often specify what sort of salt to use. Morton in the US was the first to produce a pure white consistent salt which was considered a great step forward for a while. The Grey Salt of Guerande is now a very popular speciality salt had been criticised by Louis XIV, who said they could sell a lot more of it if only they could remove the dirt. David and Alison Lea-Wilson on the Isle of Anglesey run Halen Môn one of a rapidly growing community of new salt companies. (Halen is the Welsh word for salt, while Môn refers to the island of Anglesey.) There’s a lot more to it than just boiling sea water. They have a 50-year license from the Queen to pump seawater. Sheila tries some and says it tastes of the sea. Halen Môn micro filter their seawater to remove microparticles if plastic. They have 20 tanks which take 9 days, they apply a little heat from above to simulate the sun which then triggers the salt to form into crystals under the beige liquid. David went around the world researching salt manufacturing but his breakthrough was while visiting a salt museum in Japan when he realised you can develop quality through slowness. A study last year found microplastic pollution in 17 salts, none from the UK, but it’s a worrying development. – A good reason for buying Britsih and knowing where your ingredients come from. Back at the Walnut Tree Shaun cooks a dish with tinned pulses. He says to add the salt right at the end because if you add it to pulses too soon it makes them tough. ‘Salt is powerful stuff’. Chef Tips: After making the soup Shaun pours some olive oil onto the top of Sheila’s bowl, he drizzles it onto the soup over the back of a spoon so that it rests on the surface. 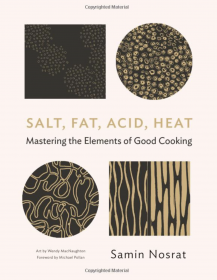 Sheila then moves on to interview the author of ‘Salt, Fat, Acid, Heat’, Samin Nosrat. Her family is from Iran. She remembers the taste of salt from being by the sea during her childhood. She had grown up in the 70’s and her mother followed a low-sodium diet, adding little if any salt to their food. When she moved to America and started working in restaurants she discovered the importance of adding just the right amount of salt to make food taste it’s best. Samin says it’s far better to cook with the right quantity of salt rather than have people add it to their meals while they are eating. Adding salt at the table is basically correcting a mistake that happened earlier. The salt needs to be in the meal while it’s cooking to become distributed and do its work of releasing flavour. In Japan, there is no culture of having salt on the table as we do in the UK. They work the salt into other ingredients such as Soy sauce and Miso. In Japan they never put salt in with the rice while cooking but in Italy, you’d never cook risotto without salt. The use of salt, therefore, is very cultural and driven by tradition, geography and history. Caution around salt is quite modern, the word salary and salad are derived from salt. Droitwich, Nantwich, Saltzberg tell us that they were places salt was produced. It’s in our language we can trace our shifting attitudes to salt. Sheila interviews Susie Dent who writes and broadcasts about words. Susie says the word ‘salt’ is ancient of Indo-European origin Sal, meaning Salt. If you look in any dictionary there are multiple entries related to the word salt. The idiom ‘Above the salt‘ comes from medieval times up to the 18C, when the rank of guest at a dinner was determined by how close the guests sat to a silver salt cellar, the distinguished guests sat above the salt cellar at the head of the table while the lesser guests sat further down the table ‘below the salt’. In the Bible, we find good people are said to be ‘Salt of the Earth’. Shakespear talks about ‘the salt of youth’. More modern slang reflects the increased caution around salt, these days ‘salty’, it implies irritable or hostile not at all positive. The official advice these days is to cut your salt intake. According to recent public health England figures, adults are getting through an average of 8 grams of salt a day. How much salt does the NHS advise per day? Adults should eat no more than 6g of salt a day (2.4g sodium) – that’s around 1 teaspoon. Babies shouldn’t eat much salt, because their kidneys are not fully developed to process it. Some food labels may only state the sodium content. Don’t confuse salt and sodium figures. To convert sodium to salt, you need to multiply the sodium amount by 2.5. For example, 1g of sodium per 100g is 2.5 grams of salt per 100g. Adults should eat no more than 2.4g of sodium per day, as this is equal to 6g of salt. 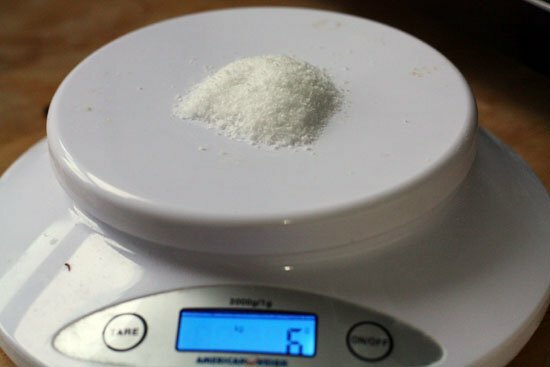 What does 6g of salt look like? Salt is an essential mineral and you need some in your diet. Too much salt is associated with high blood pressure which can lead to strokes and heart attacks which are major causes of death these days in many countries. A recent study looked at Russian cosmonauts debunks the idea that thirst increases when you eat a lot of salt. There are other things going on in the body and it’s more complicated than simply salt increases thirst. People have differing levels of salt sensitivity. Overall diet, genetics, exercise, body weight and age all affect blood pressure so there’s more too it than just salt. However, all health agencies around the World agree that you should keep your intake to about a teaspoon of salt a day and not more than two. We get 70 to 80% of the sodium from what’s added to processed food, ready meals, luncheon meats etc. If you want or need to reduce your salt intake the best way is simply to cut out these processed/manufactured foods and cook from scratch at home. What was the cheese in Jamie Olivers ​vegan lasagne?